***2041 Sanctuary (Dark Descent) (Ancient Origins) by Robert Storey. Price: Free. Genre: Suspense Thriller, Action & Adventure, Literature & Fiction, Post-Apocalyptic. Rated: 4.4 stars on 97 Reviews. 850 pages. ASIN: B00N20CH92. *THE ANGOLA DECEPTION: An Action Thriller by DC Alden. Price: Free. Genre: Suspense Thriller, Action Thriller. Rated: 5 stars on 6 Reviews. 406 pages. ASIN: B012OV3IVU. Excellent Black Ops Erotica Thriller Deal! 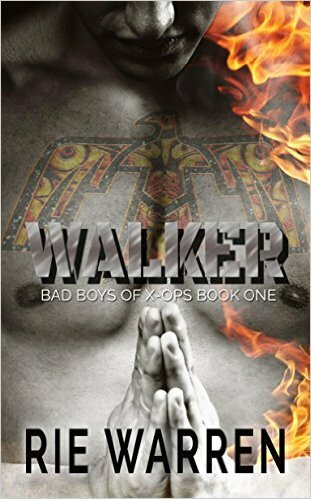 **Walker (Bad Boys of X-Ops Book 1) (Deal, Not Free) by Rie Warren. Price: $0.99. Genre: Thriller Erotica Deal of the Day, Sponsor, Suspense Erotica, Bad Boy Black Ops Soldier, Action & Adventure, Humorous. Rated: 4.4 stars on 49 Reviews. 307 pages. ASIN: B01CAN0CSY. ISBN: 1530729335. *Parched (The Parched Series Book 1) (Deal, Not Free) by Andrew C. Branham. Price: $0.99. Genre: Post-Apocalyptic Science Fiction Deal of the Day, Sponsor, Prepper, Suspense Thriller, Dystopian Science Fiction. Rated: 4.9 stars on 22 Reviews. 243 pages. ASIN: B01DR16USY. *Cheerleading Can Be Murder (Horror High Series Book 1) by Carissa Ann Lynch. Price: Free. Genre: Suspense Thriller, Supernatural Thriller. Rated: 4.9 stars on 38 Reviews. 186 pages. ASIN: B01D3RI2EM. Highland Justice (Repeat) by Larry Stuart. Price: Free. Genre: Historical Thriller, Travel, Scottish, Suspense Thriller, Sea Adventures. Rated: 4.1 stars on 14 Reviews. 330 pages. ASIN: B006OUET66. *Love for Sail – A Connie Barrera Thriller (Connie Barrera Thrillers Book 1) (Deal, Not Free) by Charles Dougherty. Price: $0.99. Genre: Suspense Thriller Deal of the Day, Sponsor, Sea Adventures, Women’s Adventure, Romantic Suspense. Rated: 4.7 stars on 19 Reviews. 321 pages. ASIN: B00KVNXGVQ. *Rebecca Tree: A Political Dynasty Unravels: Tree for President by Michael Abramson. Price: Free. Genre: Assassination Thriller of the Day, Sponsor, Conspiracy Thriller, Suspense Thriller, Publishers Weekly Recommend. Rated: 4.6 stars on 13 Reviews. 435 pages. ASIN: B01CIMYXYQ. ***Back Story: A Reed Ferguson Mystery (A Private Investigator Mystery Series – Crime Suspense Thriller Book 10) by Renee Pawlish. Price: Free. Genre: Cozy Mystery, Noir, Murder Mystery, Crime Thriller, Amateur Sleuths, Private Investigators. Rated: 4.7 stars on 136 Reviews. 251 pages. ASIN: B011PFPRDI. ISBN: 1515261263. **Jonathan’s Locket by Lorraine Carey. Price: Free. Genre: Suspense Thriller, Paranormal & Urban, Fantasy, Sea Stories. Rated: 4.9 stars on 48 Reviews. 106 pages. ASIN: B00K7O7M50. *In Too Deep (The #Hackers Series Book 2) by Sherry D. Ficklin. Price: Free. Genre: Technothrillers, Cyberpunk, Suspense Thriller. Rated: 4.7 stars on 19 Reviews. 231 pages. ASIN: B0163JNH7O. ISBN: 163422163X. *Rebecca Tree: A Political Dynasty Unravels: Tree for President by Michael Abramson. Price: Free. Genre: Assassination Thriller, Sponsor, Conspiracy Thriller, Suspense Thriller, Publishers Weekly Recommend. Rated: 4.6 stars on 13 Reviews. 435 pages. ASIN: B01CIMYXYQ. Publishers Weekly Recommend This Thriller. *The Survival of Thomas Ford (Deal, Not Free) by John A. A. Logan. Price: $0.99. Genre: Psychological Thriller Deal of the Day, Sponsor, Suspense Thriller, Literary, Murder Mystery. Rated: 4 stars on 228 Reviews. 304 pages. ASIN: B006Q68W7U. The Cinder Field: A Novel by Brian Scott. Price: Free. Genre: Crime Thriller, Literary, Noir, Suspense Thriller. Rated: 4.5 stars on 4 Reviews. 332 pages. ASIN: B00KR3HIUA. Nillium Neems (The Adventures of Nillium Neems Book 1) by Francisco J Ruiz. Price: Free. Genre: Psychological Thriller, Suspense Thriller. Rated: 4.6 stars on 7 Reviews. 121 pages. ASIN: B00UXK9UMQ. The CULL – Bloodline (Repeat) by Eric J. Gates. Price: Free. Genre: Suspense Thriller, Serial Killers, Conspiracies, Suspense. Rated: 4.3 stars on 26 Reviews. 395 pages. ASIN: B00AGZ27FA. *James (Teumessian Trilogy Book 2) by Ana Elise Meyer. Price: Free. Genre: Suspense Thriller, War & Military, Military Thriller, Thrillers. Rated: 4.9 stars on 15 Reviews. 255 pages. ASIN: B01AVY0CHK. Epic Calling (The Magi Saga Book 1) by Andrew Dobell. Price: Free. Genre: Suspense Thriller, Supernatural Thriller. Rated: 5 stars on 4 Reviews. 299 pages. ASIN: B00BAVVFW0.